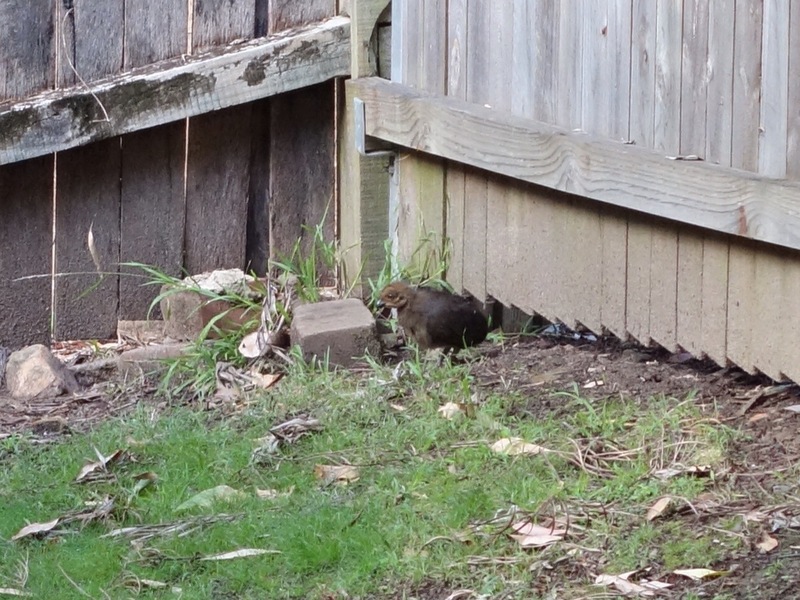 7:30 am this morning I spotted two Brush Turkey chicks around the nest established in the backyard during our UK absence. 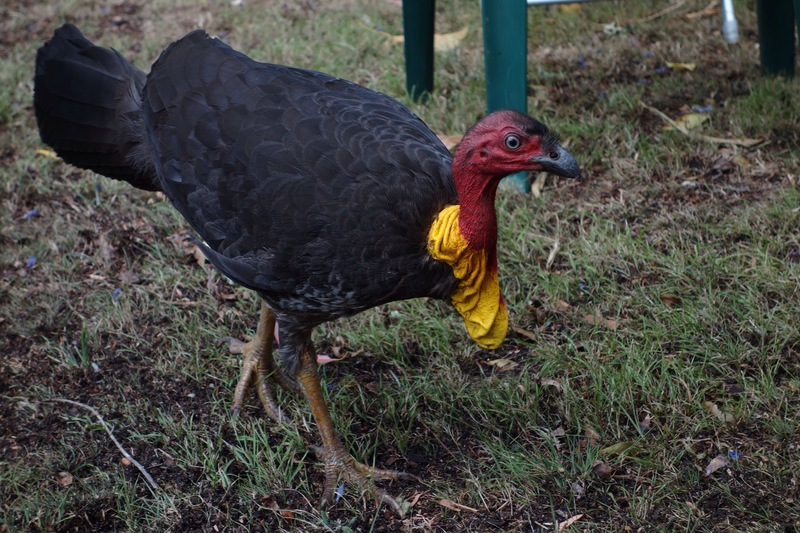 Finally, the daily visits from Poppa, or Mr Brush Turkey, may be at an end? No more tending the nest, checking the temperature, redistributing leaf litter, twigs, branches, rocks & whatever his claws would flick up, no more attacks on the remaining garden to refresh the material over this last 2 months? Hoping to capture some pics I headed out with the camera, just in time to see them break cover one by one & scamper towards the local bush. Next minute, there was Poppa strutting up to inspect the nest! Over the next hour or so, he dug into the nest at particular points, & dug & dug! At times, so far in that only his tail showed. (Our assumption was that he was checking for any remaining eggs?) Eventually he was done & gone; would he return? Having sighted more than one hen visiting the nest, we had wondered over what period of time chicks may be hatching? Now it seems that all the activity is over & we’ve inherited a demolished nest & considerably more compost material than we started with! 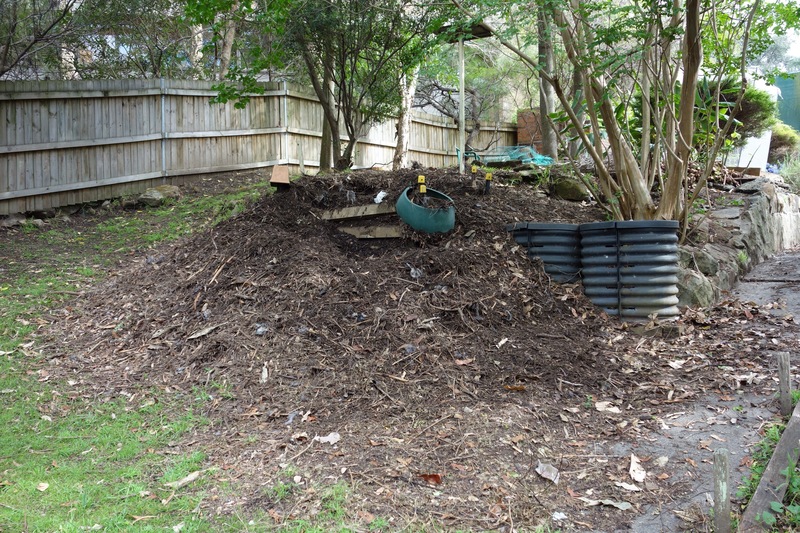 Looks like we can reclaim the compost heap & rebuild the garden & lawns? Well, some day soon? Well, here we go again; another trip coming up in the Tardis , our VW T5 Campervan. This time however, the Tardis will be more of a T5 Transporter than Campervan, as we’ll have an extra passenger in Mrs Aussie’s Mum. After pondering the separate issues of T5 step & Ralph’s support system, I realised I could combine everything. 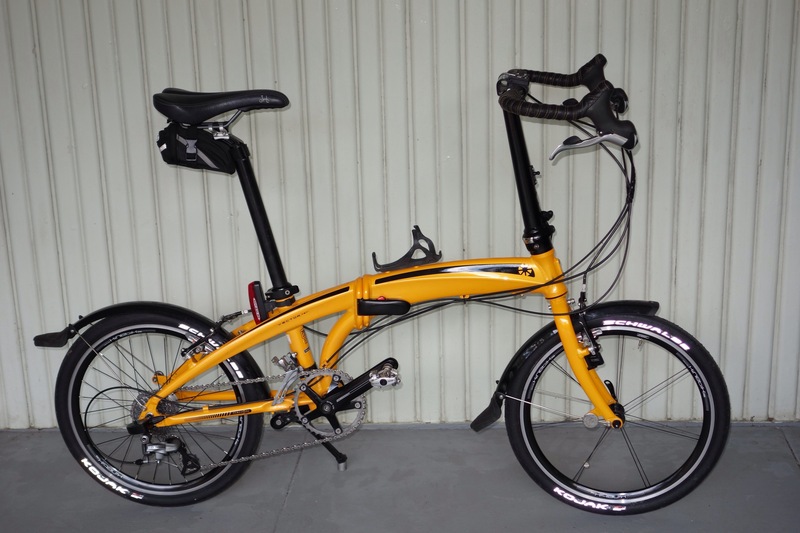 I found that my wooden work stand was a good size for a step (albeit not really stable enough) & that the handle bar support legs where ideally placed for supporting a Brompton frame. Turning to my stock of timber off-cuts I then constructed some “support boxes” that would become leg supports for the step, supports for keeping Ralph’s acorn axle nut off the floor & also a seat protection pad for when using the work stand in its original role. 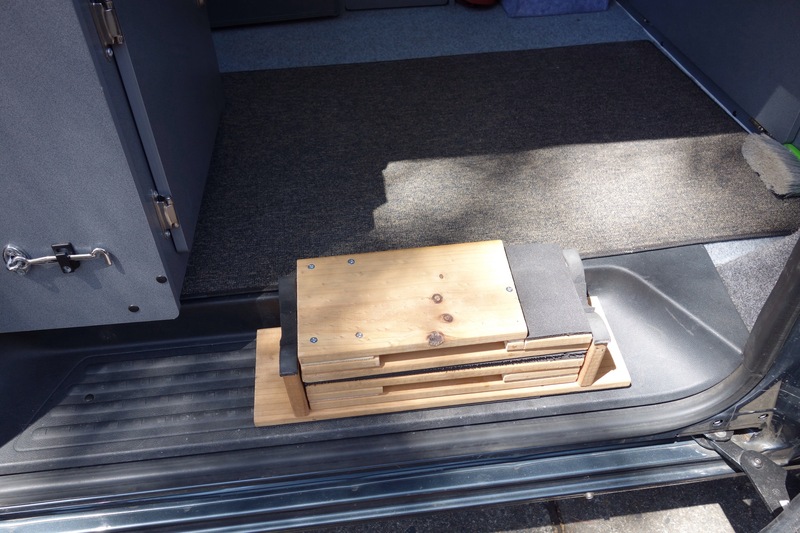 Enough of trying to explain all this in words, let’s see some piccies of the work stand in a multi-use way – step, mobile stand & support cradle (& when not in use can be stacked on the side door sill beside the sliding door). 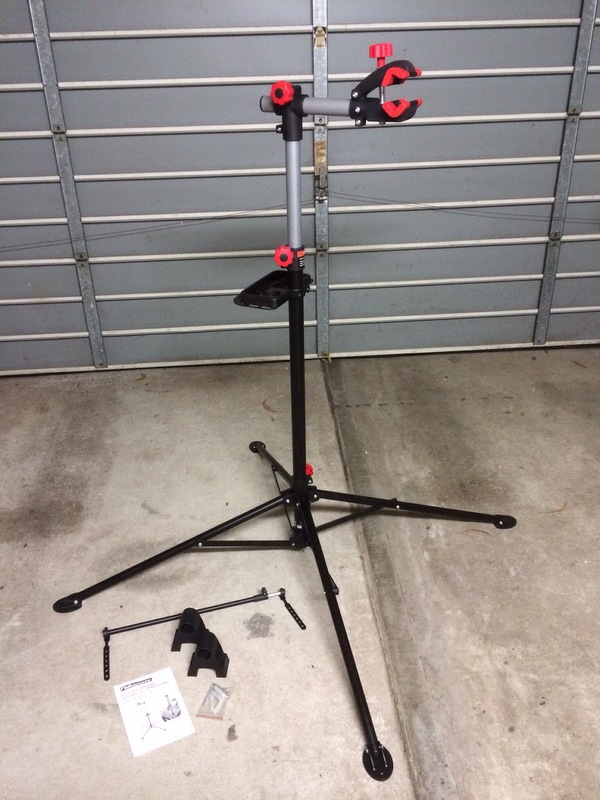 The work stand fits any of my bikes & usually sits in the garage but I’ve often missed it while on a trip. Now, with the recent Aldi purchase of a work stand, my mobile work stand may stay in the Tardis? I don’t expect to carry both “the Mum” & Ralph on the next trip (Ralph will stay home & other bikes will be on our rear bike carrier). It was meant to be, it was fate! 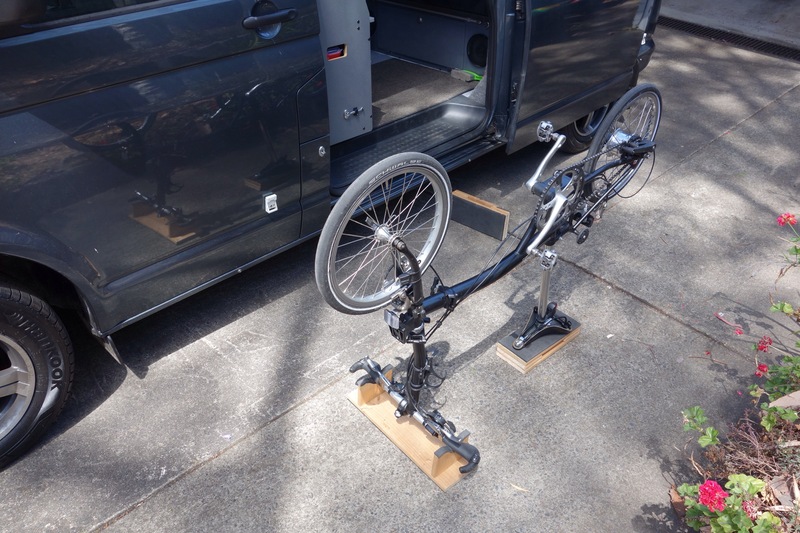 After many years making do with cobbled bike work stands & support systems, it was pointed out to me (while in the shopping centre) that Aldi was having one of their bike stuff sales – & that a work stand was included! 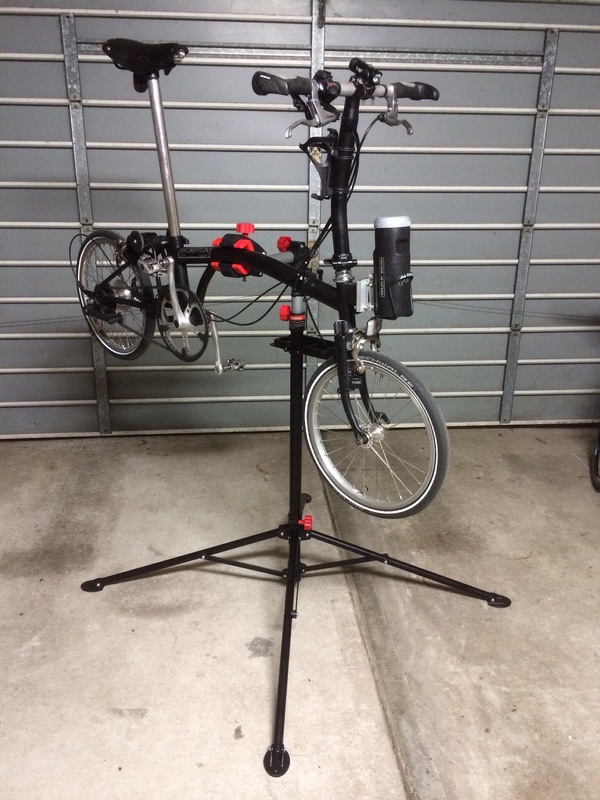 I’d never been enthused to spend lots of money on a super-duper work stand but maybe this one would do? 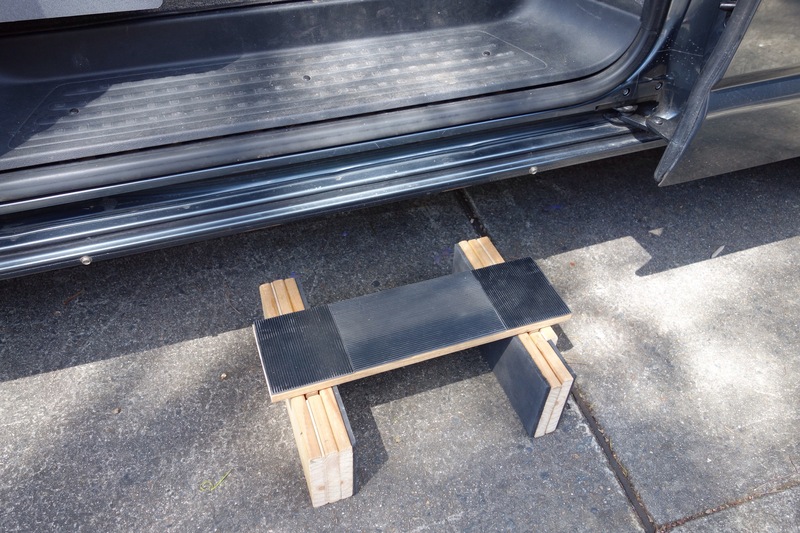 Finished my coffee & trotted along & sure enough; a cheap work stand & probably good enough? After all, it did say, “Fits all bikes” on the box? 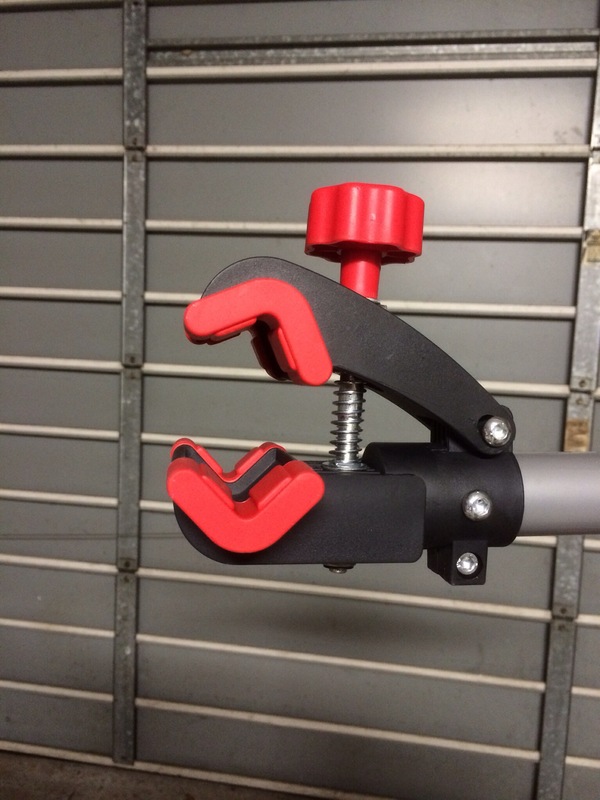 The alarming thing I found with using the stand with a Brompton, is that the clamping area on the mainframe tube is not the balance point. 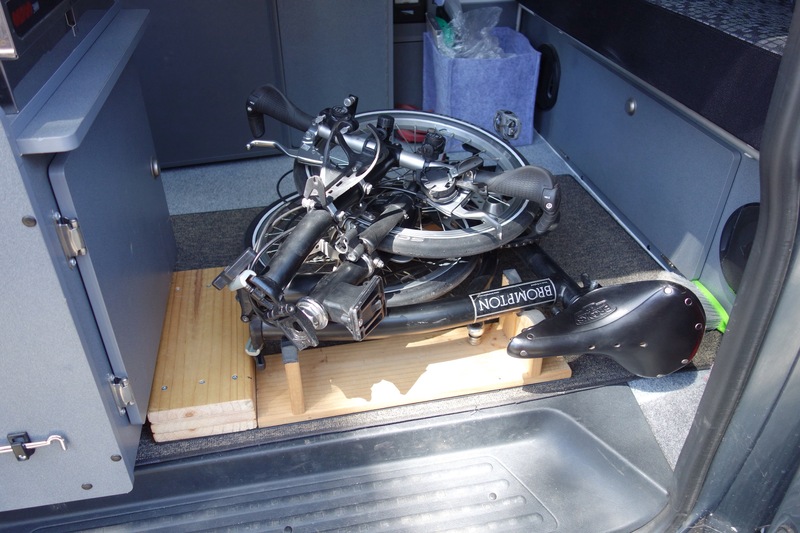 With more weight to the rear, you have to have all clamps done up tight to avoid the Brompton rotating! I pondered this for a while & then rummaged around the garage, resurrected my first version of a luggage block adapter, bolted a bidon cage to it, popped in a large sized tool container & filled it with garden pebbles. Hey presto! – a counter weight. 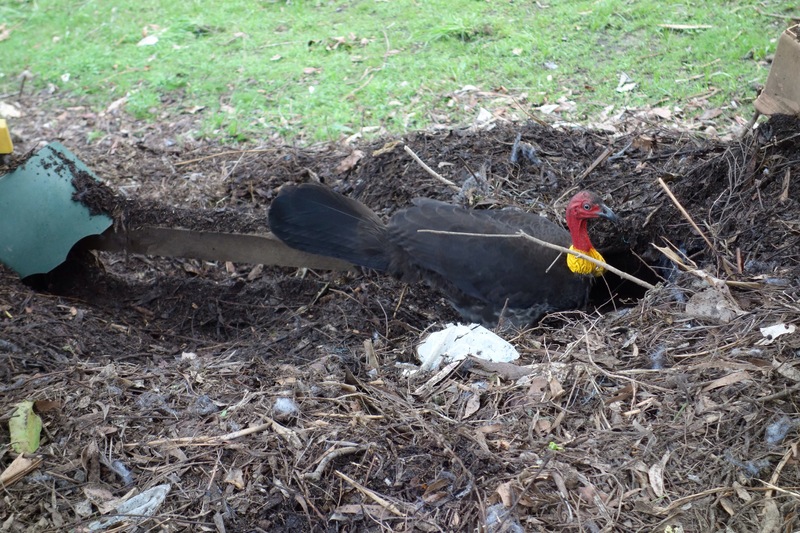 Following on from my earlier post “Back to the nest”, our visiting anti-gardener, Mr Brush Turkey, continues to pop in to checkout his nest & can be seen every day testing the nest temperature & topping up or adjusting the mound to suit. At times there are also female visitors to assist the work but we’re unaware of how many females have laid eggs & when that’s taken place. It seems the chicks will dig themselves out eventually & make their own way in the world; we’re just hoping there’s a clear sign as to when we can reclaim our compost heap & start work on building a new garden?